Learning plus lightsabers. 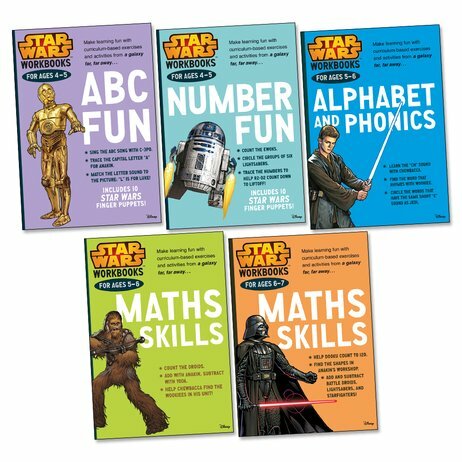 If you want to succeed in the Star Wars galaxy, you’ll need to count battle droids and know what rhymes with wookie… Fancy yourself as a Jedi? We’ve got news for you. Being a Star Wars hero isn’t just about waving a lightsaber. You won’t get far if you can’t add Tatooine coins or read a starship manual. No worries: these books make sure the learning Force is strong in you. Handy activities that build essential skills. Plus colour pictures and nifty cut-out extras.